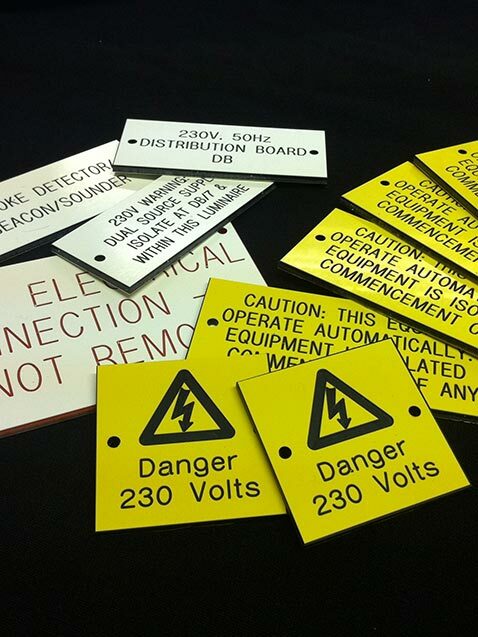 Here at Andrews Signs, we have extremely fast turnaround times to provide you with industrially engraved labels and tags. Yet, due to the expertise of our team, you can entrust your design to our in-house design team who will cater to your bespoke requirements. 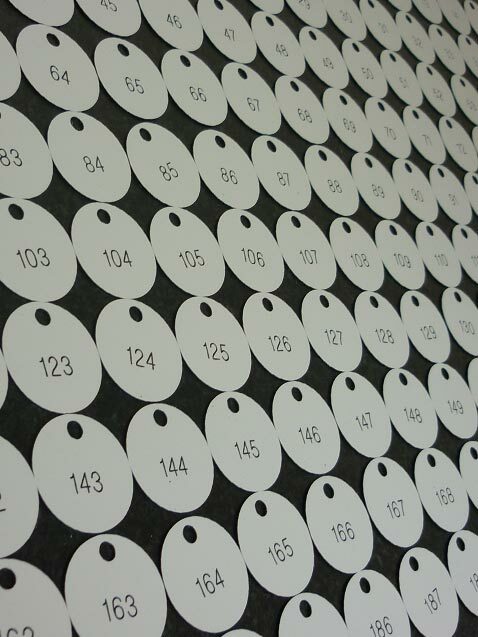 We have a team of expert engravers with years of experience in the field. Engraved gravoply is the modern solution to the more traditional traffolyte. 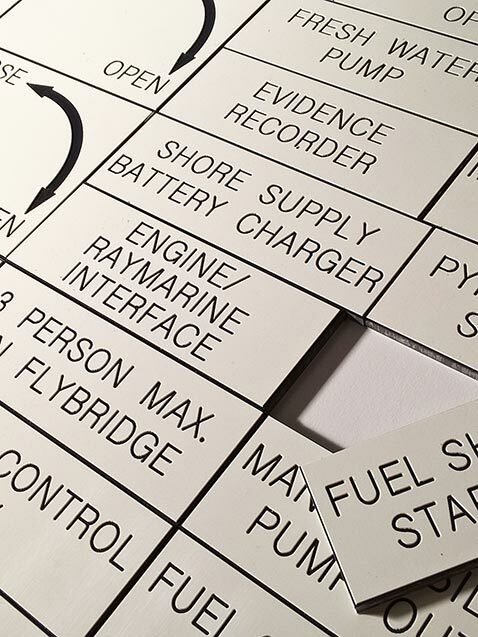 We engrave on a multitude of rigid and flexible laminates in various thicknesses and colours. 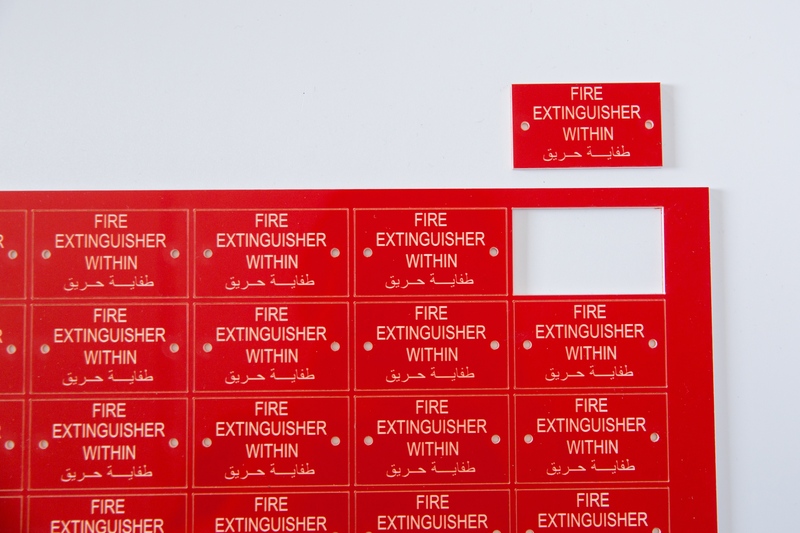 All products can be engraved to your exact specification, send us your drawings and our expert engravers will quickly turnaround your labels. We also alternatively do industrial and commercial engraving on different materials such as: Stainless Steel, Plastics, Laminates & Traffolyte. Please call on 01904 400800 with you exact requirements and we can work out a price for you.